In California, auto insurance companies are free to draft “exclusions” to coverage for either classes of persons or types of situations. One common exclusion is to exclude from coverage any accidents where a “resident” of the household is driving but, was not specifically included on the policy. In this case, the “exclusion” argued was one of one “insured” trying to sue another “insured”. Mercury argued that Pham, as Chu’s roommate, was a “resident” and an “insured” and should not be able to bring a claim against Chu. The trial court determined that the Mercury Insurance policy at issue did in fact exclude coverage for Pham’s personal injury lawsuit against Chu. Chu and Pham appealed the trial court order granting summary adjudication in favor of Mercury and interpreting the policy as not providing coverage to Chu’s roommate. The court of appeal reversed and remanded, concluding that the non-relative resident clause that defined the roommate as an “insured” was an overbroad extension of the statutory “insured” exclusion and was contrary to public policy. California Insurance Code § 11580.1(c)(5) authorized automobile liability insurance carriers to provide for exclusion of liability to either “an insured” or “an insured whenever the ultimate benefits of that indemnification accrue directly or indirectly to an insured.” In addition, cases like Farmers Ins. Exchange v. Cocking, 29 Cal.3d 383 (1981), where the court determined that a wife could not seek benefits from her husband’s automobile policy, upheld that a resident exclusion was consistent with public policy. Mercury relied on the statute and on Cocking and other case law to support expanding the exception to non-relatives residing together. The Court of Appeal disagreed and held that, unlike relatives, mere “cohabitants” (like roommates) were transitory in nature and should not be considered in the same class as permanent residents of the household related by blood or marriage. This decision is subject to appeal to the California Supreme Court, who could overrule the appellate court. In addition, a request could be made to de-publish this decision which, if granted, would leave it without value as citable precedent to support future decisions. 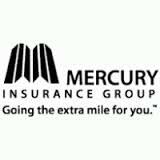 In my representation of auto accident victims in the last 18 plus years in CA, I have found Mercury Casualty Insurance to be one of the more difficult carriers to deal with and obtain a fair and expeditious resolution on auto accident claims. This appears to be yet another example. Although, the case did present a novel legal argument that the appellate court admitted was one of “first impression” (i.e. had not been ruled upon before by another California appellate level court), it seems to be a “stretch” to try to exclude coverage for an accident involving a named insured driving and injuring a passenger in their vehicle simply because the passenger happens to also be the driver’s roommate.